The very best recipe for the most fluffy and super tasty cod fritters! 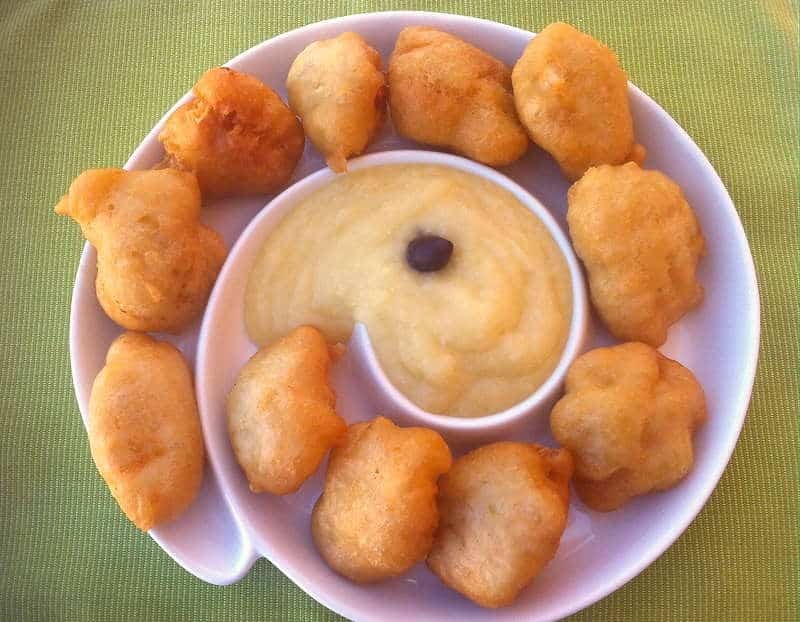 Cod fritters are a very popular dish in Greece throughout the year, but especially on the celebration of 25th March. Traditionally, this dish is made with salt cod fish, which is soaked in water for at least 48 hours, in order to leach the salt. If you wish to avoid this lengthy process, prepare the cod fritters with some fresh cod fish, which is even better, though a bit more expensive. Ideally serve with some Greek-style garlicky mashed potatoes (skordalia sauce) and enjoy a delicious meal! To prepare the cod fritters, it is very important to leach the cod fish from the salt. To do that soak the cod in water and put in the fridge. Leave it for 2-3 days and change the water 3 times a day. If you like you can buy some fresh cod fish and skip this procedure. When done, dry well the fish with paper towel and remove all the bones. Cut into small bites, 4-5 cm. To prepare the batter for the cod fritters add into a bowl the beer, the water and the yeast and mix with a whisk, until the yeast is dissolved. Add the rest of the ingredients and whisk, until the batter is smooth. Serve with creamy traditional Greek skordalia (garlic potato puree) and pita breads. Enjoy!